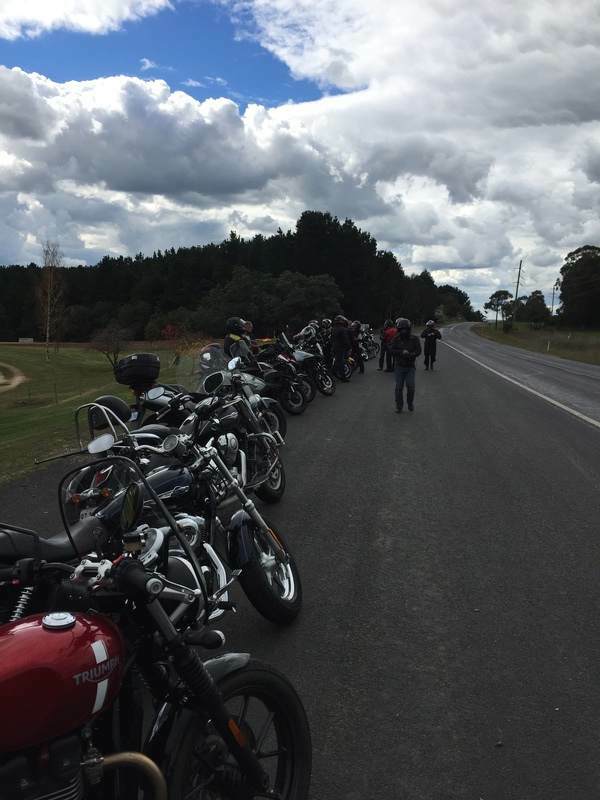 Had a great day trip from Canberra to Bathurst and back via some great twisty roads yesterday. Weather held out, not too much other traffic, no sign of anyone handing out double demerits. Two Heads pub in Bathurst was great. Good food and beer. Ride home was a bit dodgy, between 10km of dirt (roadworks) on some pretty steep and winding back roads into Crookwell. We took the Goulburn then Hume option then as it was dark (too much faffing around at Mt Panorama etc) and too many roos the on the back roads through Gunning. And numpty here didn't think to bring a clear visor so road back at night with a dark one. Was ok, but stayed in the pack. Only GSX1250FA there - flying the flag.